Summer is not all about fruity drinks and beach bodies, it’s the perfect time to invest in some pretty jewelry. Roaring wave necklaces, colorful gemstones and unique shell earrings can add style, elegance, and sophistication to your summer outfit. If you are someone who loves the ocean's allure and charm, you'll love our one of a kind island inspired jewelry. Sand between my toes, sun in my face and wind in my hair. 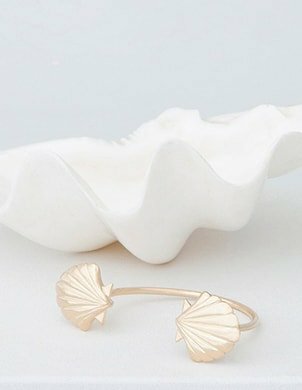 If, like us, you can’t get enough of the ocean, it's time for you to jump on board with some seaside themed jewelry this summer. 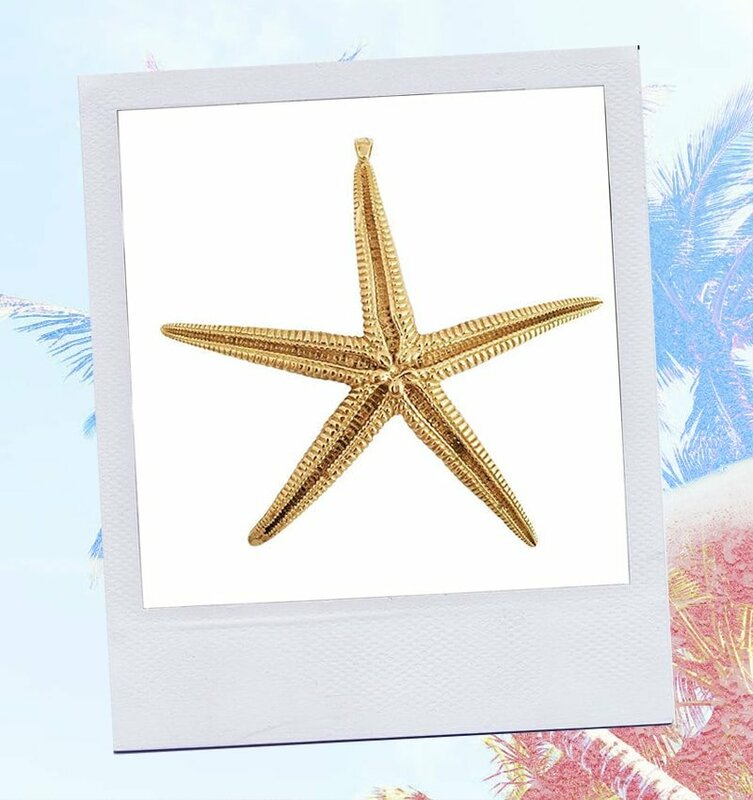 Add a touch of oceanic beauty to your look with some seashell charms, starfish necklaces and anchor rings. Feel the power of the ocean and don’t let the waves fade away. Craving an ocean swim this Summer? Ride the waves all season long with wave inspired jewelry. Even without a wetsuit, you can look just as cool. Foamy textures, undulated swirls and playful shapes keep you connected to the ocean all summer long. Wear a beach wave necklace with a classic striped tee and you'll hear the lapping waves all day. 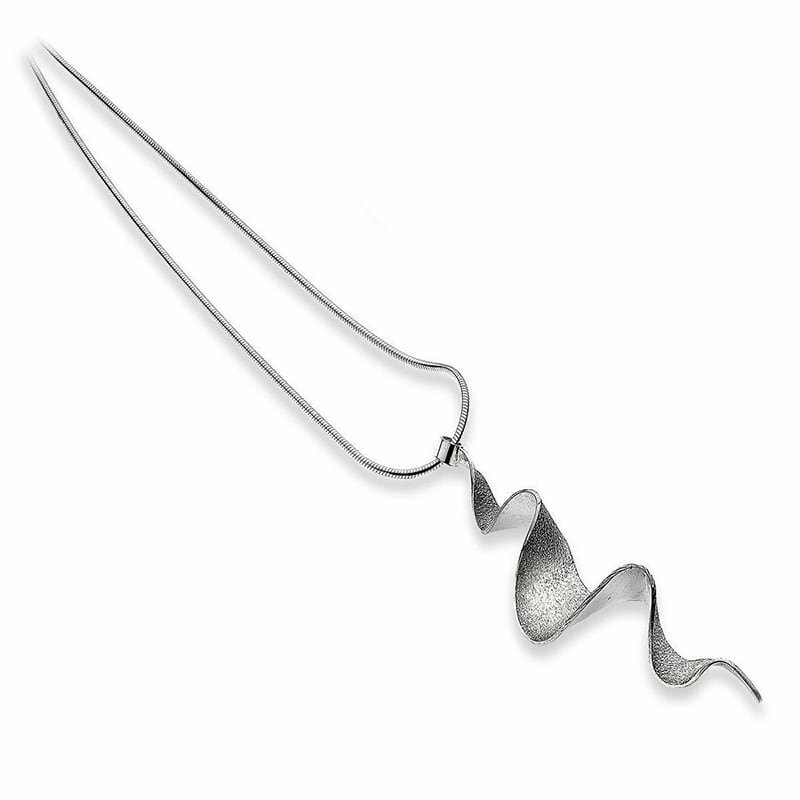 This sterling silver necklace showcases a beautifully handcrafted wave with contrasting smooth and textured sides elegantly hanging down from a simple snake chain. Over 70% of the planet is covered with water and there’s so much we’ve yet to explore. This piece is made for lovers of sea and surf. Get your mermaid tails ready! Feel like the mermaid goddess this summer with our handmade ocean inspired jewelry. Whether you're by the pool or getting sun-kissed on sandy beaches. Glam up your bikini and hit the shoreline in style with colorful gemstones and wave charms. 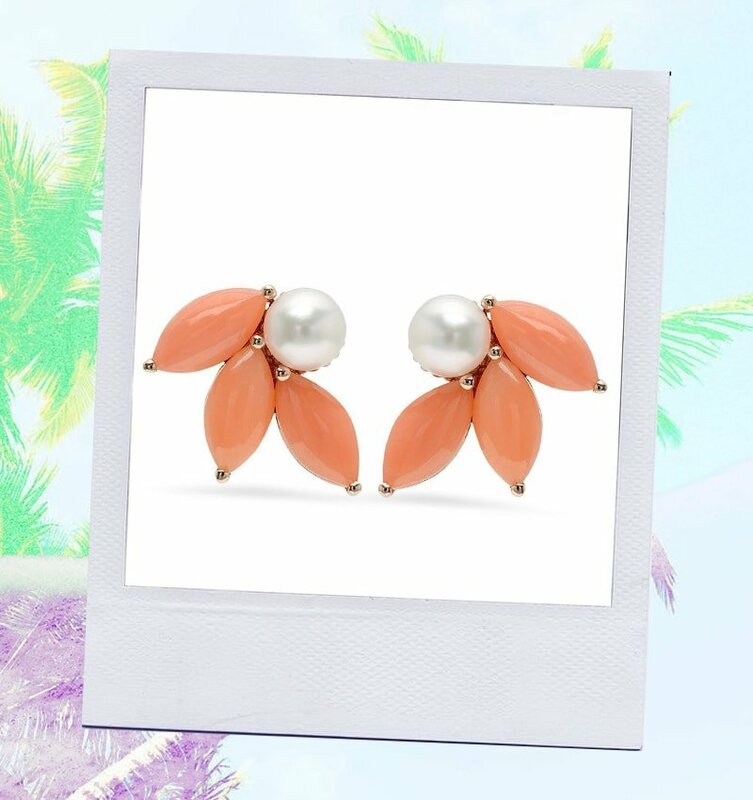 Mixing and matching seashell earrings with a pearl necklace or a coral color ring, you’ll surely show the ocean vibe. Isn't that what a mermaid should actually look like? This is a statement piece suitable for every occasion. Matching earrings are also available in the 'Curls' Collection. 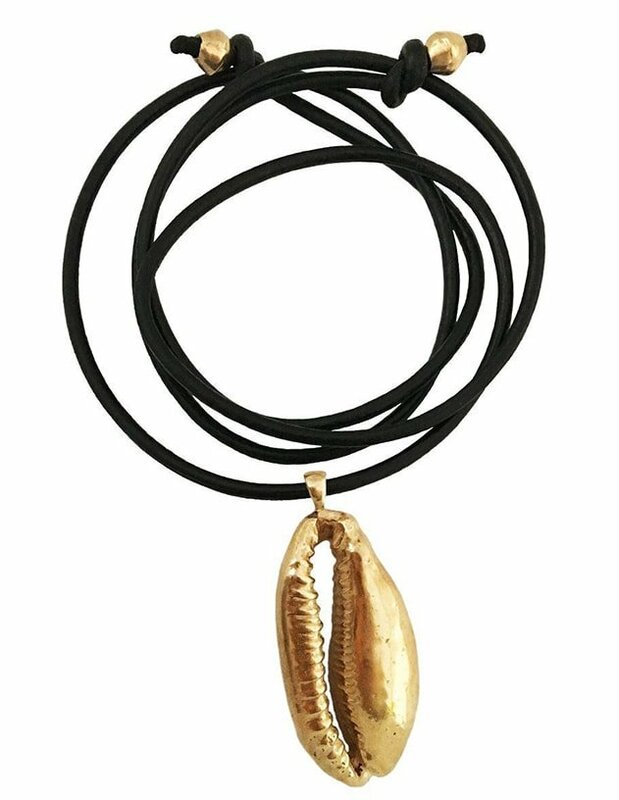 Designed by Apis Atelier - this ancient bronze Cowrie Shell on black leather with bronze beads is inspired by the islands of the Seychelles. This beautiful large cowrie shell was found on the beach of Anse Royale in the south of Mahé. One of the first symbolic meanings behind the anchor dates back to early Christianity. 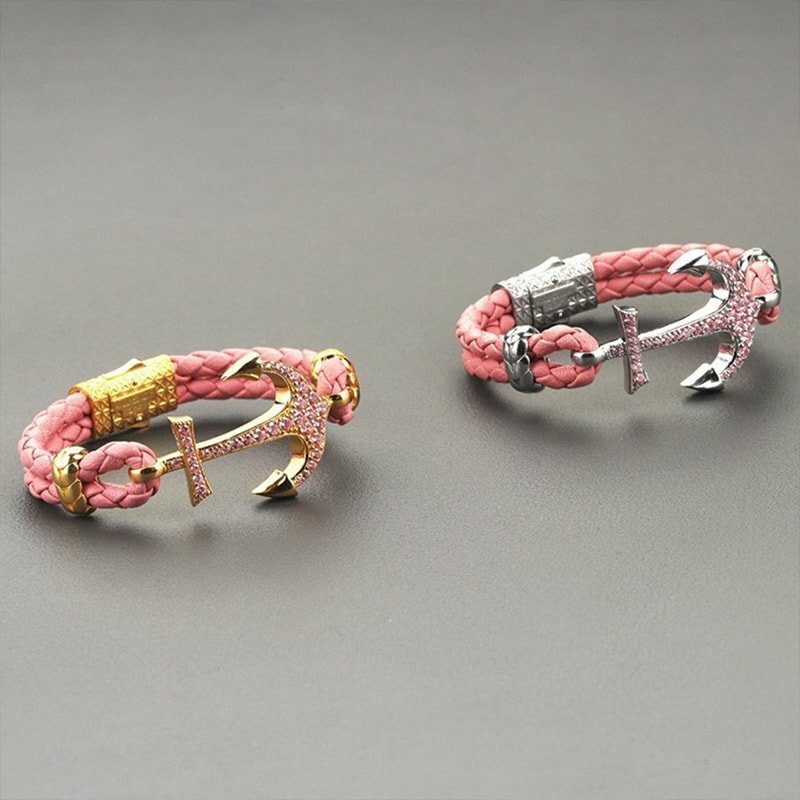 The Anchor is a powerful symbol of stability and hope, it remains to be a timeless inspiration for different jewelry styles. Simple and easy to add into your summer fashion, the anchor detail can instantly edge up any outfit. 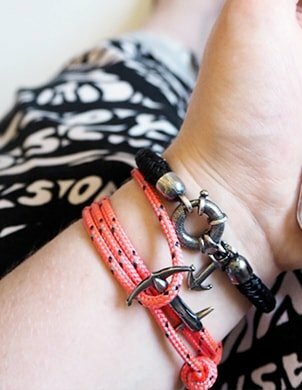 If you're looking for a classy way to convey a beach theme, go for this nautical style and sail away with our anchor rope bracelets and lucky charms. 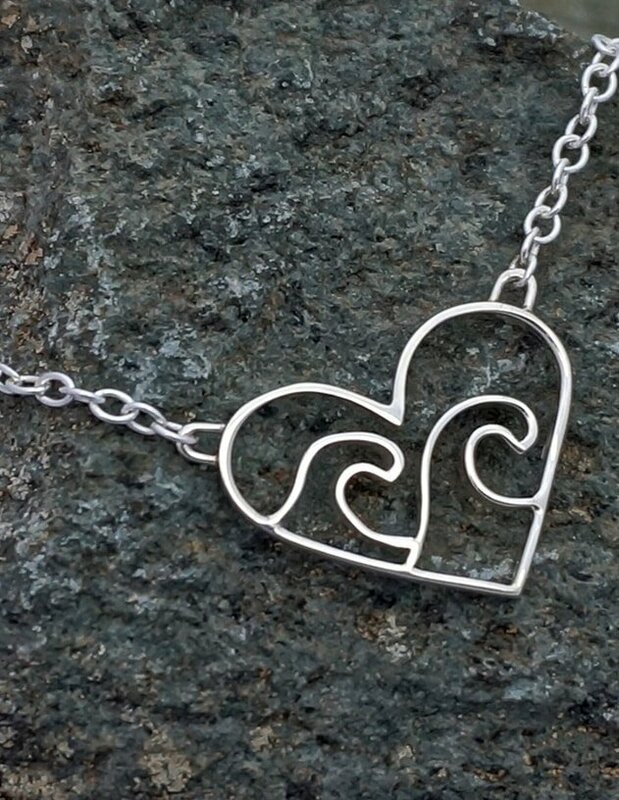 Handcrafted by the founder, Mark deVos, the Anchor Heart Pendant incorporates a quirky touch to the sterling silver design, completed in a highly polished finish. This bracelet is finished with gold plating, making it a unique piece of Atolyestone's anchor jewelry collection. 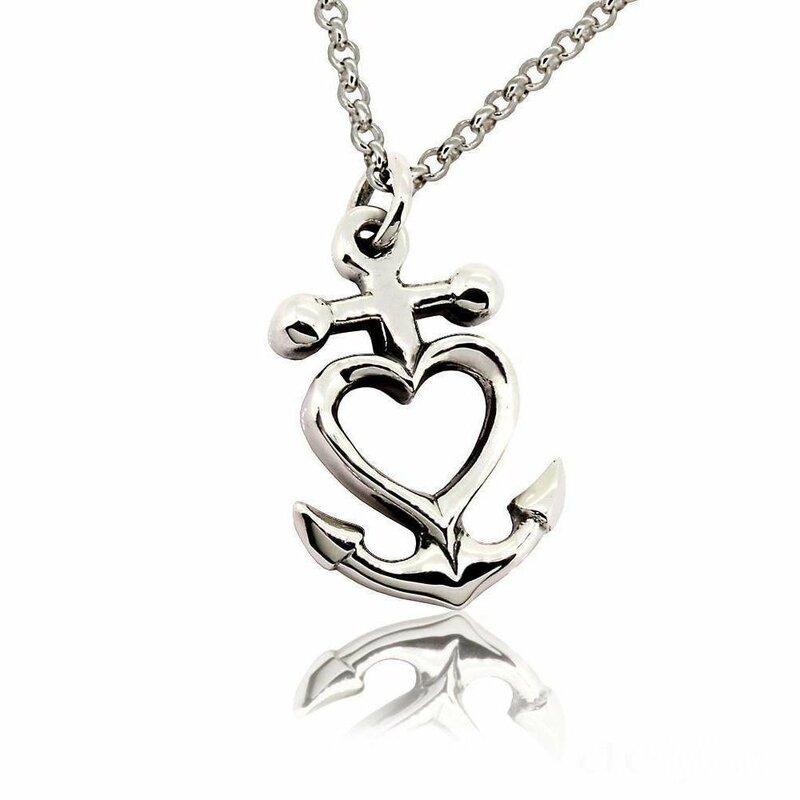 The anchor is paved with cubic zirconia stones for a unique style. Let's dive into the deep blue sea with our beautiful coral jewelry. This bright peachy color is taking over the catwalks this season. Jewelry has the power to lift your spirits and your look, so make it bold with a few of colorful coral pieces. A dynamic and vibrant color, coral is named after the sea animal also called corals. The peach color is a combination of orange and pink, and has the power to keep your creative energy flowing. Who doesn’t love a splash of bright color? A bold, eye-catching piece of jewelry can really transform an outfit. 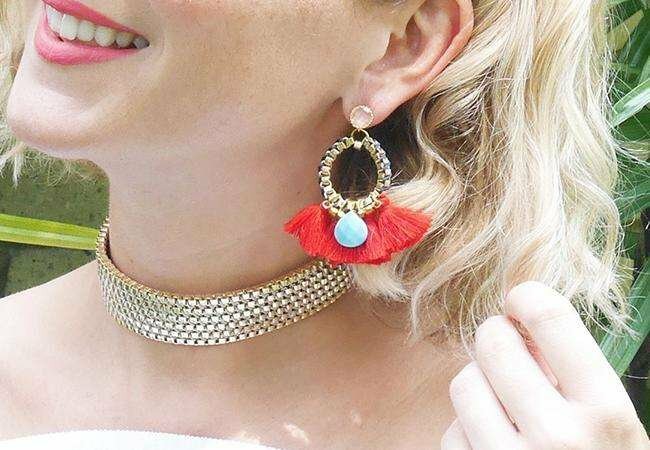 Wear a pair of coral pom-pom hoops with skinny jeans and a sheer top, you’ll be feeling all summery in no time! Brothers Luis, Raul and Jeronimo Mendez are Spanish makers who create pieces inspired by historic jewelry. 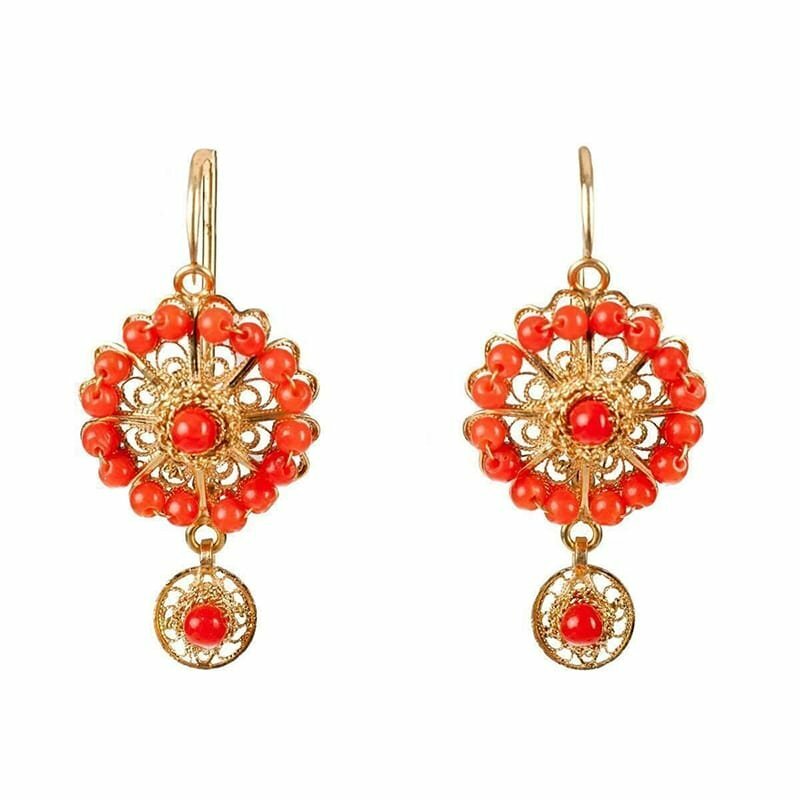 Luis Mendez Artesanos's enchanting 18kt gold Rose circle earrings are finished with bright red coral. The design is both traditional and contemporary. 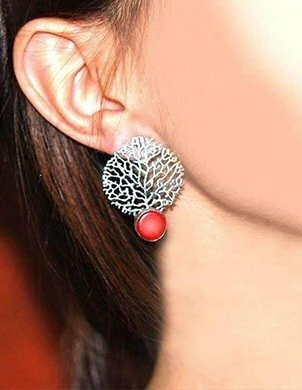 Red coral branch and arizona turquoise discs necklace with sterling silver magnetic clasp. This is the perfect piece for vibrant colors lovers and a great addition to your summer outfits! You heard it here first: color is back for summer, and it is bigger and bolder than ever!